*NO CAMP on December 25, and January 1st. Like our Summer Camp, we offer half day and full day sessions. Our half days are 9am-12pm, and 1pm-4pm. A full day is 9am-4pm. 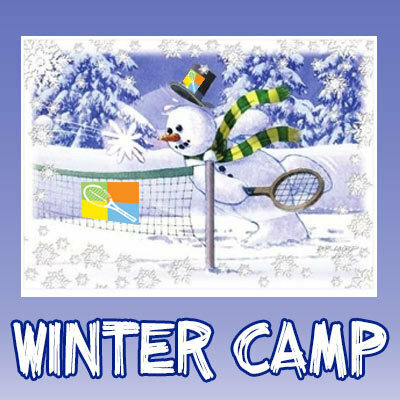 Winter Break Camp is run by Junior Competition Program Director Scott Crichlow. Your kids will be working on consistency, footwork, and strategy through various drills and competitions. Registration address must be Beverly Hills to receive Beverly Hills Resident price. We offer 90+ hours of classes a week, have over 20 pros on staff, and a pro shop staff ready to answer all your questions! We'll have exactly what you are looking for! In Business for 23+ years, Beverly Hills Tennis provides group classes, private lessons, camps, and tennis equipment to the community. With over 20 pros on staff and 16 lighted courts, we have the right fit for you! Come on in! We are located at the La Cienega Tennis Center, right on La Cienega between Gregory Way and Olympic Blvd. The courts and Pro Shop sit on top of the parking structure!